LL Receives a Nice Recognition from the 4A’s! 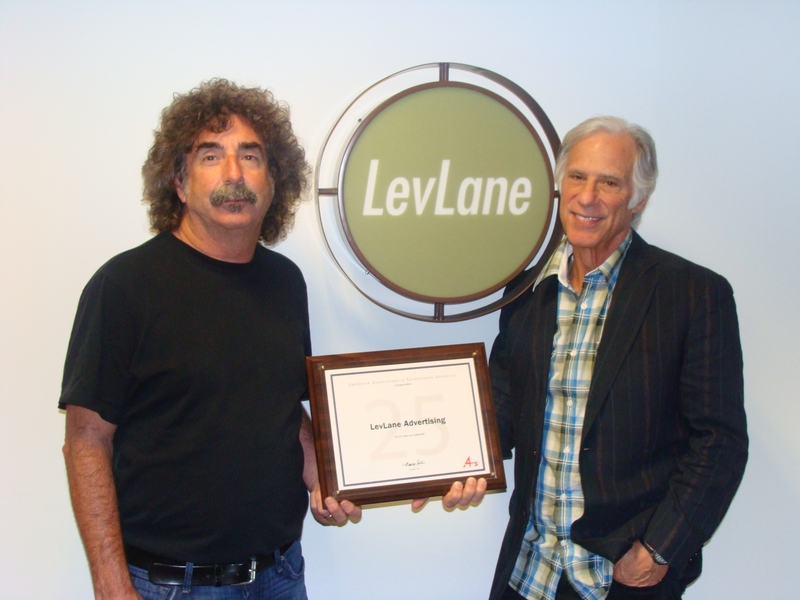 LevLane recently received a wonderful recognition from the American Association of Advertising Agencies (4A’s)- we’re celebrating 25 years of membership with the organization- and they sent us a beautiful plaque. We like it so much, we just had to take a picture. The 4A’s has been a great resource to us and we’re happy to celebrate this milestone! https://www.levlane.com/wp-content/uploads/2015/11/levlane-logo-12001.png 0 0 Drake Newkirk https://www.levlane.com/wp-content/uploads/2015/11/levlane-logo-12001.png Drake Newkirk2012-06-22 10:21:382012-06-22 10:21:38LL Receives a Nice Recognition from the 4A's!